It's Scruffy's World... I Just Live in it. 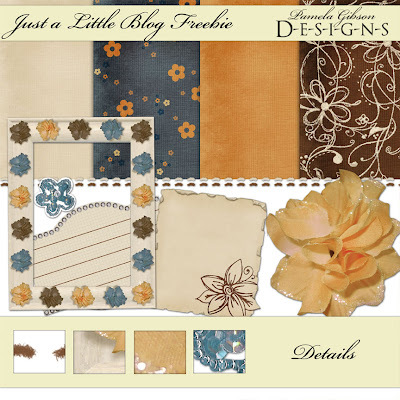 : Just a little blog freebie and a sneak peak! Just a little blog freebie and a sneak peak! That certainly looks intriguing doesnt it? lol. Anyways, not much has gone on here so i've created a little freebie for you. thanks to serena thomas for her fiber brushes and atomic cupcake for the fab actions! Remember to leave a little love if you download this and if you like my stuff you can check it out at Scrap2Basics, One of a Kind Scrapz, Plain Digital Wrapper, and Divine Digital. The newest stuff is at OAKS and PDW. There is an exclusive paper pack at PDW called Tropical Solids too. Links to my stores are in the sidebar. Thank you so much for the gift!! It's downloading now and I can't wait to see it up close - the colors in the preview are lovely!! Gorgeous freebie. THanks for sharing :) Have a great day! Thank you what beautiful work you do! Love your freebie! Thank you!! Thanks for sharing ... I especially love the flower! Thank you for the gift. I love it! Wow! This is very pretty! Thanks so much for sharing!! Thanks so much--it is beautiful! Thanks so much for this beautiful "little" freebie. Gorgeous!! Cannot wait to use this!!!!!!! It's gorgeous! Thanks for this beautiful kit! Thank you for a beautiful mini-kit. The brown and blue papers are awesome. Ohhh...I'm leaving some LOVE! this little kit is so darling! the colors are fab...thanks so much. TY so very much for sharing!!! This freebie is awsome! CUTE, CUTE, CUTE! I will have to go check out your stuff in the shops you mentioned! Thank you so much Pamela,, this is just beautiful. Thank you for sharing this beautiful kit. I love the color combination you've used. Thanks so much for the beautiful mini kit! This freebie has such beautiful colors! Thanks so much for sharing with us. Lovely - thank you for shairng! Lovely, lovely, lovely! Such a nice, mature kit - very classic! Thank you for this very nice gift. I love the glitter on the flower! So pretty! I can't seem to get it to download right now. I'll check back again later. I love the color combination, and the doodled paper is awesome. Thanks for sharing! This is a fantastic kit with its awesome colors & lovely patterns. Love the brush swirls & strokes, especially that paper pattern. Love the corded gold bow. I think they are so petite & elegant, yet adds a little whimsy to the layout. Hope you are feeling better after receiving a little sunshine through your fellow bloggers. Yet, you still found the time to make this wonderful surprise gift of love to share. I thank you for your kindness in sharing of yourself along with your innate design talent. (I hope this isn't a double message. I left one, but could not find it. Anyway, if it is, you deserve all the praise.) So thanks for the fantastic 2-part kit with the gold, brown, & blue colors so richly displayed. TFS. WOW! That's lovely! Thank you! A beautiful gift! Thanks so much! Thanks for sharing your kit!! I love the doodled paper...love it all! I looked for your e-mail addy and could not find it, so I posted this here, hope you don't mind. I am inviting you to check out the new Designers Forum. I have created a forum strictly for designers to post their freebies with photos! All freebies would be available to view by the public. Take a look at this new and innovative idea of mine and see what you think. No one will miss your freebie ever again! Its a Grab Bag Bonanza! Some new products and a Freebie!